Author Kris D. Komarnitsky's main thesis is that the early Christian movement was spurred by cognitive dissonance reduction in the disciples after the crucifixion. Everything involved with the origin and growth of Christian beliefs can be explained via well known (and well documented) psychological phenomena. 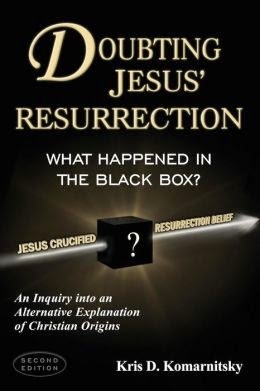 If you would like a brief overview of the author's case, see his article on the secular web here. William Lane Craig has responded to this book. And the author interacts with Craig's reply here.